Lame. That poster screams Transformers. So uninspiring. Really? It screams Mission: Impossible to me, which is what I think it's trying to convey. That's the international angle that we find Mater and Lightning in this time. I agree it's really simple, but so were most of the teaser posters for Cars and everything else. I'm sure there'll be many more posters before it opens next summer. 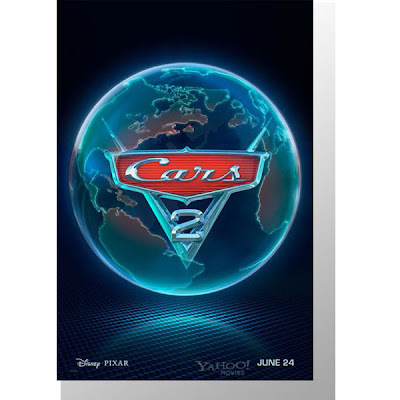 So the cars will "travel around the world". Wow, so long for the story "we only make sequels if we have a story that has to be told"... Come on, how lame will this be? It does look similar to Transformers, but I wouldn't have thought of that had Optimus Crime not mentioned it. You hate Transformers, OC? Too bad. The first TF has a lot of darn good action. Trailer's out today too, looks neat.